Finger clips are a type of suspender attachment that measure typically about ½" wide (about the width of your finger, hence the name). They are most often found on suspenders that are narrower than 2" wide. They are dressier than wider, rugged construction clips, but not as formal as button-style attachments, making them the perfect not too dressy, not too casual type of attachment. If you own a favorite pair that you want to wear to a formal occasion, they can be dressed up with the addition of a leather attachment in which case they are called "drop clips." 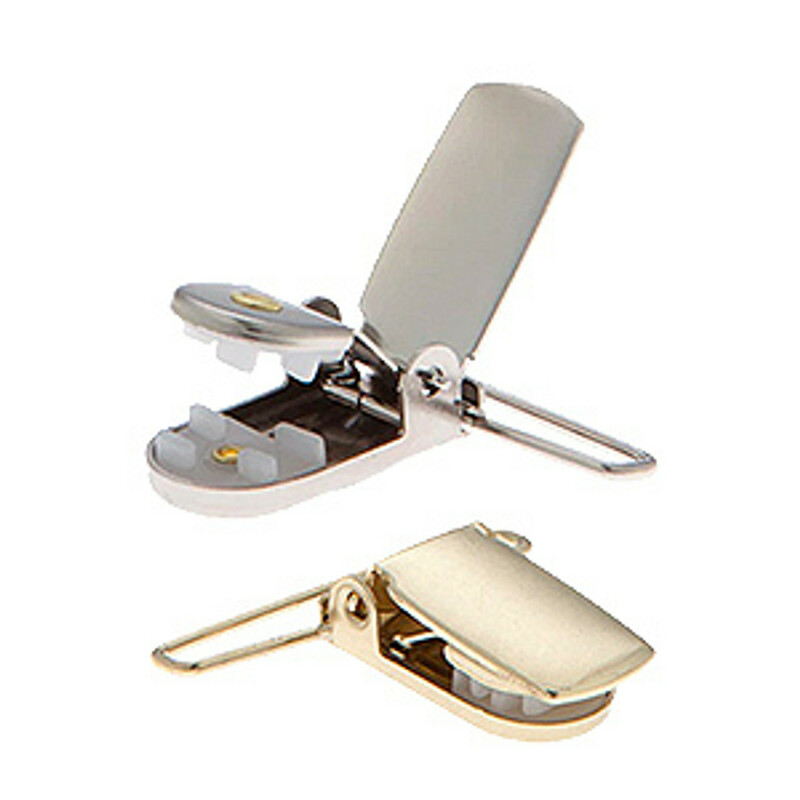 To ensure a tight, secure grip, all of our finger clips are made from high-quality hardware, right here in the U.S. One telltale sign that clips are well-made is how firmly they stay in place; they should not have any play and there should not be even the smallest gap between the fabric and clip. It is important to remember that these attachments are made to fit a certain width of material and are not made to fit on thicker fabric, belt loops or over belts; doing so will put stress on the clips and wear them out. Easy to put on and take off, finger clip attachments secure to the top of pants, shorts or skirts. Place them on either side of belt loops. To please a variety of tastes, we carry clips in both nickel and brass finishes, giving men and women the option of choosing the one that best complements their current wardrobe. Do you prefer the X-back style verses the Y-back style? We carry them both. 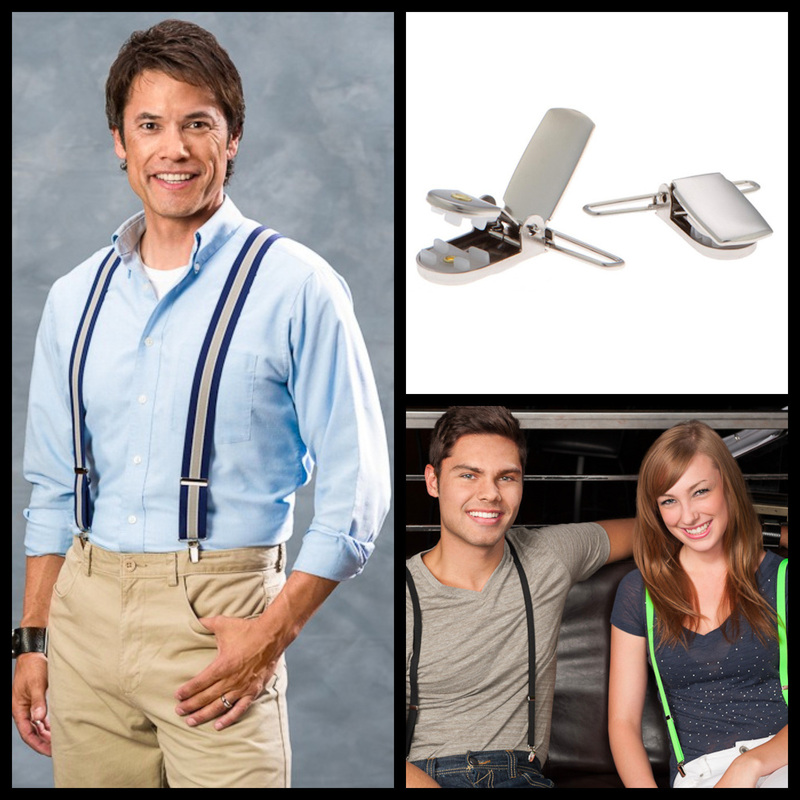 Finger clips are a great way for those who have never worn suspenders to give them a try. Shop our wide assortment and see for yourself why they are one of the most popular types of suspender attachments sold.